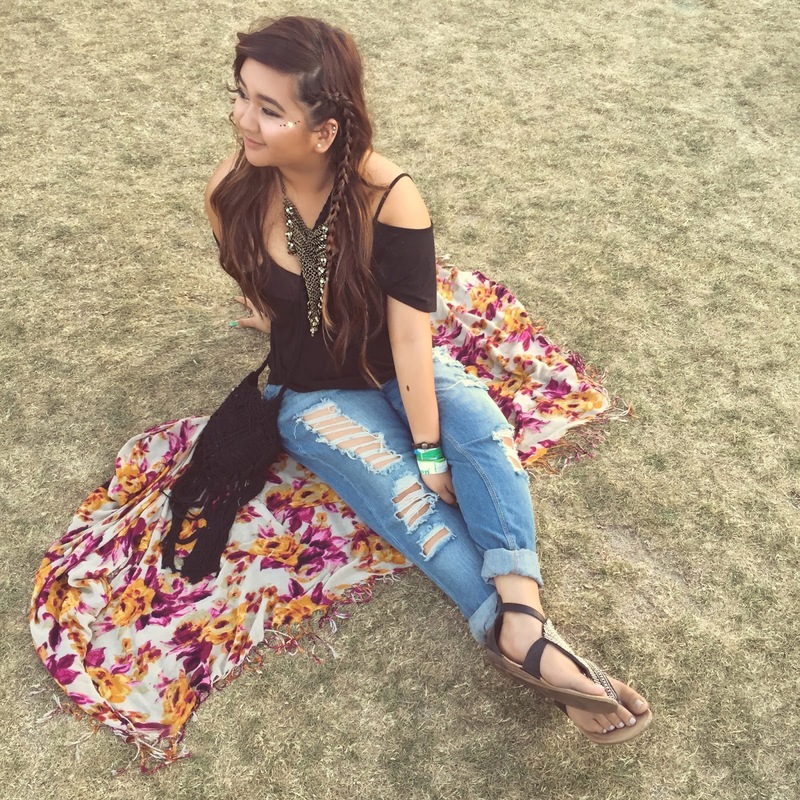 Coachella is right around the corner and while I won’t be going this year, I wanted to share a few things that worked for me (and tips I wish I knew!) prior to going. While kimonos and scarves are a great addition to every outfit, it’s so much more than that. I didn’t realize how useful my kimono and scarf would be and had I known, I would’ve brought more. They were my multi-purpose tools throughout Coachella weekend. I used my kimono as a scarf: This is crucial! The walk from the shuttle to the actual location gets so dusty that you really want something that will cover your nose and mouth. And if you’re like me and you’re allergic to everything (& you get asthma!) having a kimono or a light scarf to wrap around your face is so important. Others use bandannas as well. You’ll also find that when there’s a lot of smoke around you and it gets hard to breathe, having the kimono, scarf, or bandanna will help! I used my kimono as a mini-picnic blanket: While sitting and laying on the grass is a part of the experience, if you have a kimono, you can use it as a mini-picnic blanket, too! And when it gets colder at night and you’re waiting for the next artist to play, you can use it as a blanket. The restroom situation: I’ll start by stating my deep hatred for porta potties. 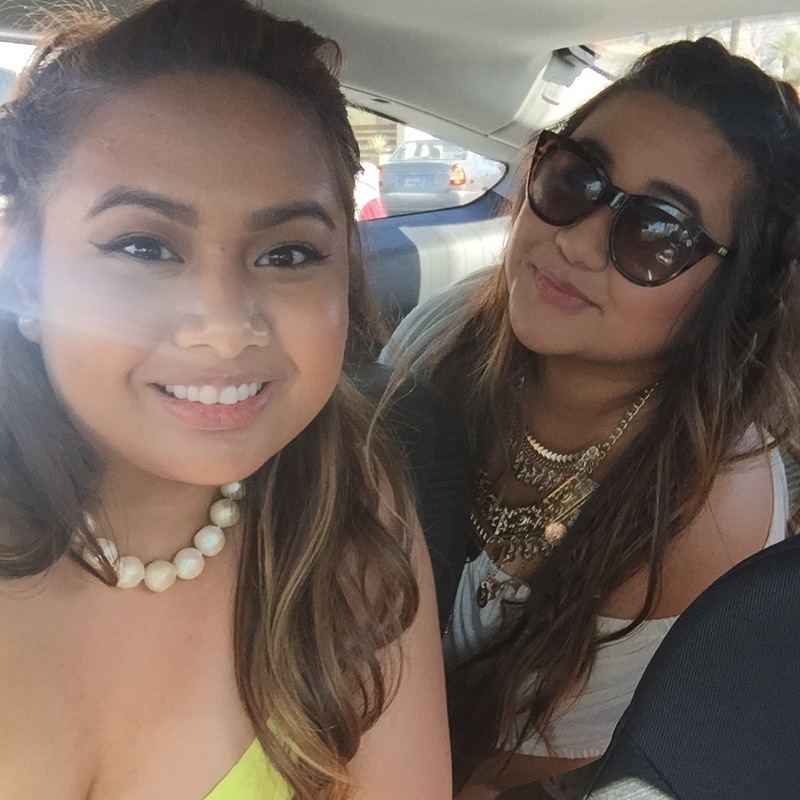 So you could only imagine my dismay, thinking about having to use the restroom at Coachella. Most days, I made sure to use the restroom at the house we rented before going to the festival, but lucky me, the year I went was the first year they had REAL bathrooms set up. Pros: There were a TON of stalls and it was much “cleaner” than the porta potties. Also, the line moves faster compared to the porta potty lines. Cons: It’s located in the middle of the festival, pretty far from the stages. So as long as you buddy up, it’ll be safer to go. There is one section with restroom trailers that was clean as well, so that’s another option. The porta potties will be easier to get to and there are more spread out throughout the festival, but I definitely prefer and suggest the real bathrooms, even if I have to hold it and sprint across the festival to get there! Now enough of my neat freak rant, let’s talk about hygienic products you need to bring with you to feel fresh and flowery throughout the festival. Cleansing cloth wipes: The tissue-paper won’t be the best quality and some stalls run out, so having wipes in your purse will be the best thing ever! My favorite would be Summer’s Eve’s cleansing cloths because you can buy the cloths in one big pack or get the individually packed cloths. Deodorant spray: If you need to freshen up your underarms, a travel-sized deodorant will be good for you but the kind of deodorant spray I’m talking about is the kind for down under. My favorite would be Summer’s Eve’s deodorant spray. If you have a teeny purse, this might be annoying to carry, but it’s really good to have! A great refresher. Face mist: Depending on the weather when you go, the heat can really get the best of you and dry up your skin. A face mist is nice for skin re-hydration and it’s a good pick-me-up when you want to feel refreshed. I actually use MAC’s PREP + PRIME Setting Spray as my face mist; it re-hydrates my skin and sets my make-up! Sunscreen: You’ll be under the sun for so long you need to reapply sunscreen throughout the day. Try to find a travel size one and just refill it! This is supposed to be a given but if you’re like me and you sacrifice comfort for fashion, DON’T. If you’re not camping and you rent a house, you’ll have to walk from your house rental to one of the shuttle pick-ups then walk from the shuttle drop-off to the entrance. In other words, there will be a lot of walking. When you get to the festival, you can absolutely take off your shoes and dance around barefoot, but for all the pre-walking you do to get to the festival, you really want to have comfortable shoes on. If you can bring one of those little battery-powered fans, bring it. If it’s too heavy, then a paper, folding fan would do the trick! This was one item I really wish I brought, but didn’t. I saw other people have them and I really wished I did the same. It’s not a problem at night when the breeze hits and the weather feels cooler but it makes a difference during the day and it’s warm! Especially being in the center of a crowd, waiting for the next artist to perform. By that I mean: Fanny-packs and cross-body bags! Don’t bring a clutch or a handbag because it’ll be such a pain to carry and you might end up losing it. Who doesn’t love taking photos nowadays? 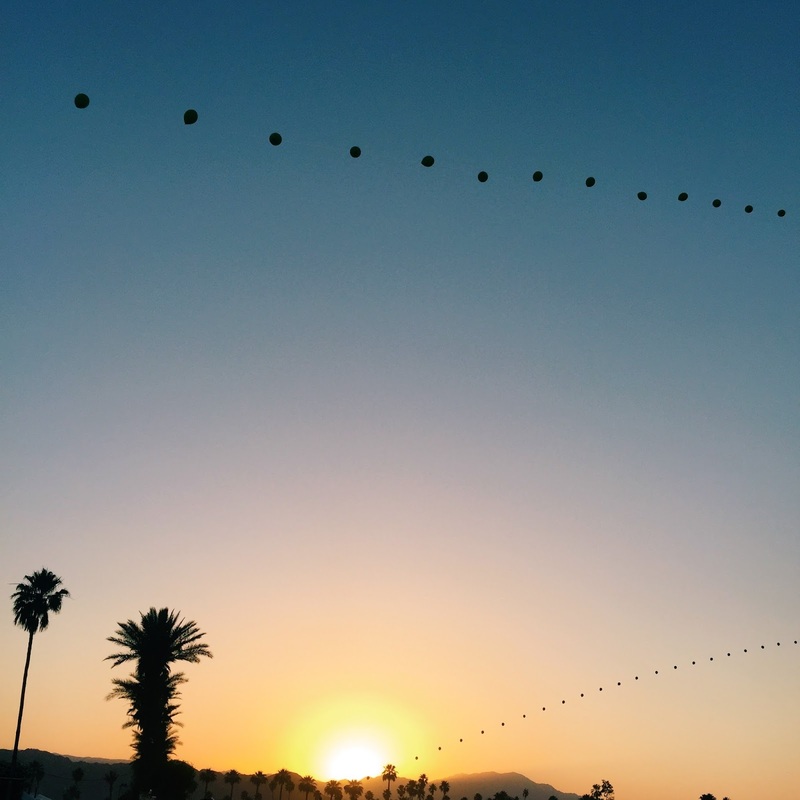 Even though it’s important to immerse yourself in every single one of your Coachella moments, there’s definitely nothing wrong with documenting it. Anyone who tells you otherwise doesn’t know what they’re talking about. There’s no Wi-Fi (or phone signals for that matter) so it’s not like you’ll be wrapped in your social media accounts. Pictures are memories. And these will be memories you definitely want to remember! So bring a portable charger. 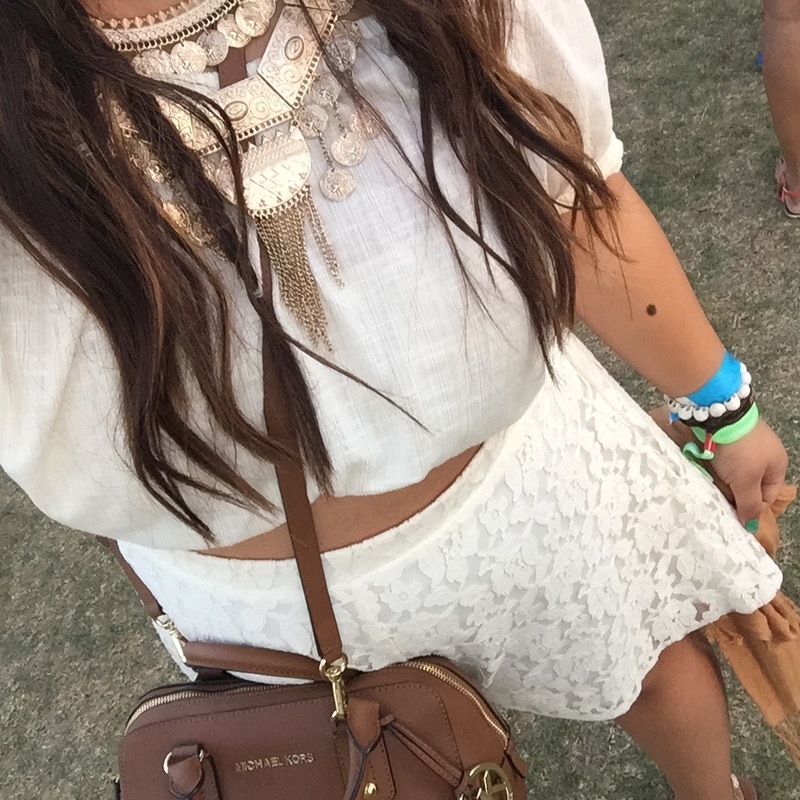 There are charging stations at Coachella, but let’s be real, who wants to hang out at the charging station? Doesn’t sound fun. 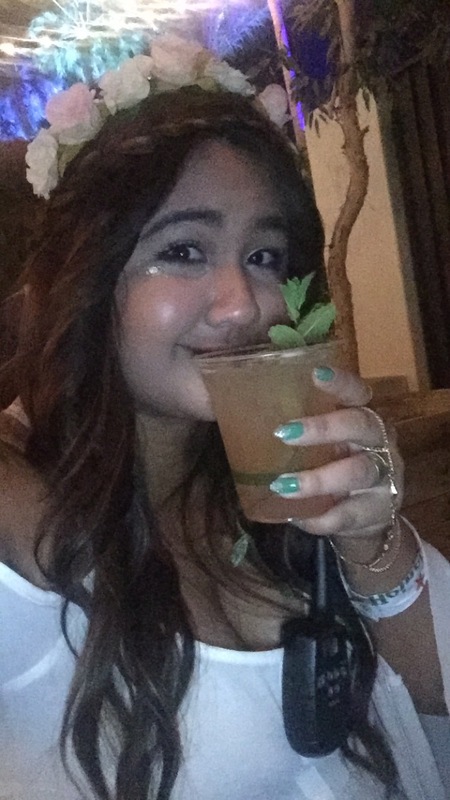 I was such a nomad at Coachella and walked around by myself to explore (which I totally recommend you do) and as I mentioned, there’s no signal, so the only way I could keep in contact with the people I was with was through walkie-talkies. Multiple people overlap on the channels so having clever code names will help make sure you’re talking to the right person. This helps with the dust again! & the sun, obviously. But I’m telling you, that dust will get you. Bring a few pairs just in case you lose one. Bet you didn’t expect this on the list because I know I didn’t. After all the walking you do, soaking your feet at the end of the day in hot water with Epsom salt will help your feet and legs recover for the next day! I promise, it makes a huge difference. You won’t even notice how much dust you’re sniffing and ingesting. You’re going to blow your nose and you’re gonna see SO. MUCH. GUNK. Bring packed tissues and toss them in your bag so you can blow your nose throughout the day. Trust me, you’ll want to. So there you have it! 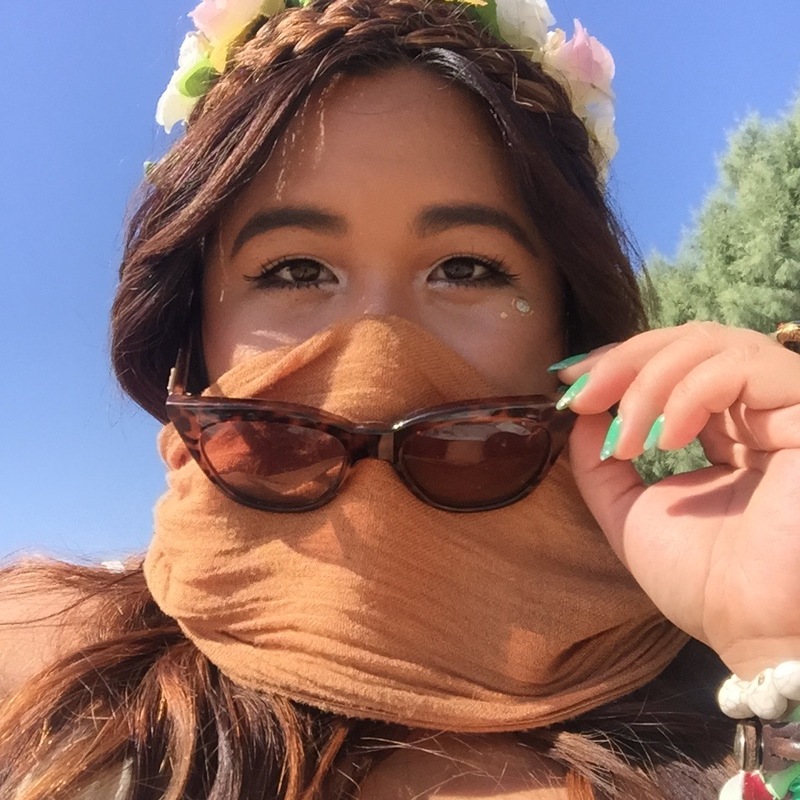 I hope this guide helps you survive Coachella. Drink watermelon frescas, dance around barefoot and wear as many flower crowns as you want!